Combine the flavors of strawberry, kiwi and pineapple in this sparkling Sunrise Punch. This Sunrise Punch is a great way to start the day—or end it! Place drink mix in large plastic or glass pitcher. Add water and juice; stir until drink mix is dissolved. Refrigerate until ready to serve. Pour into punch bowl just before serving. Stir in club soda. Serve over ice cubes. 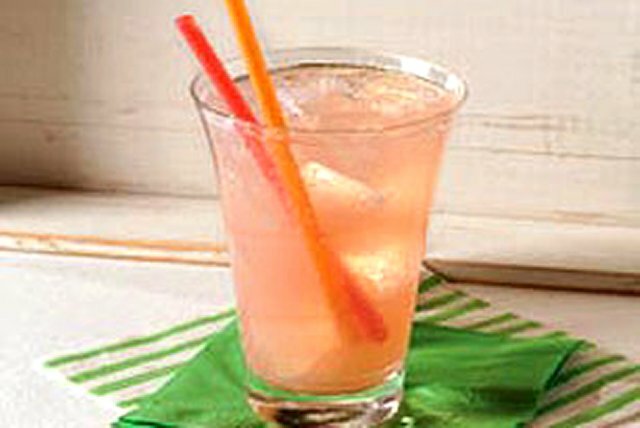 Substitute any flavor drink mix for the strawberry kiwi flavor and diet ginger ale for the club soda. Substitute seltzer for the club soda.